Your guests range far and wide. 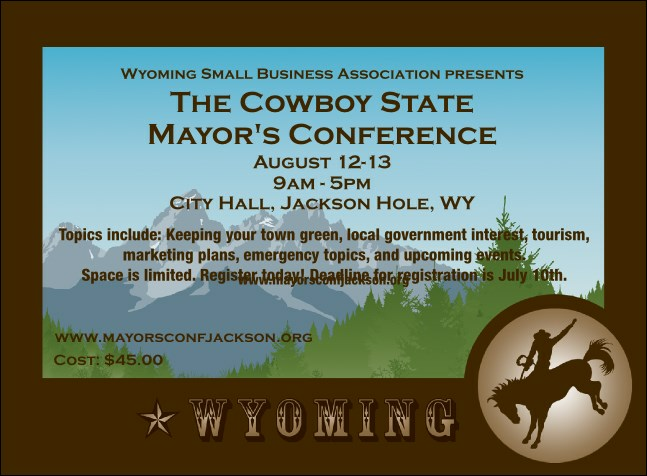 Reel them in with the full-color design on this Wyoming Invitation, part of our Wyoming Event Kit. Spectacular view of the Grand Tetons inspires your guests to RSVP and mark their calendars for your big event in the Equality State. Get right back on the horse with the right publicity! Show your pride with state-themed Event Kits from TicketPrinting.com.